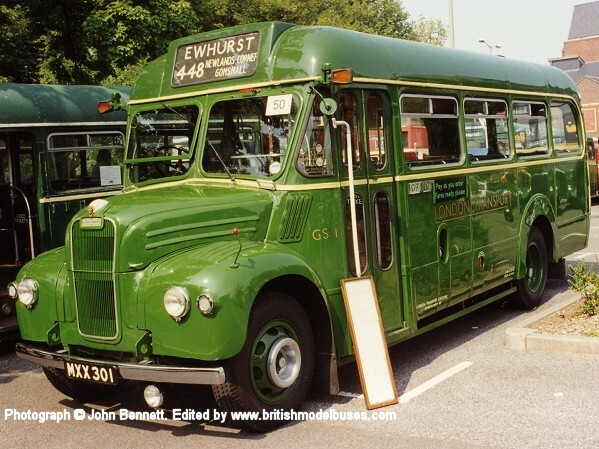 This photograph was taken at Showbus 2005 on 18th September 2005 and shows fleet number GS17 (MXX317). 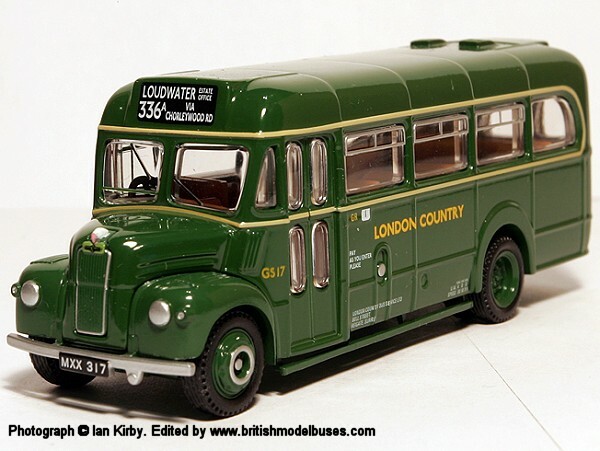 This is the actual vehicle represented by LT Museum commissioned Gift Set in London Country livery as EFE model 30502 (99928). 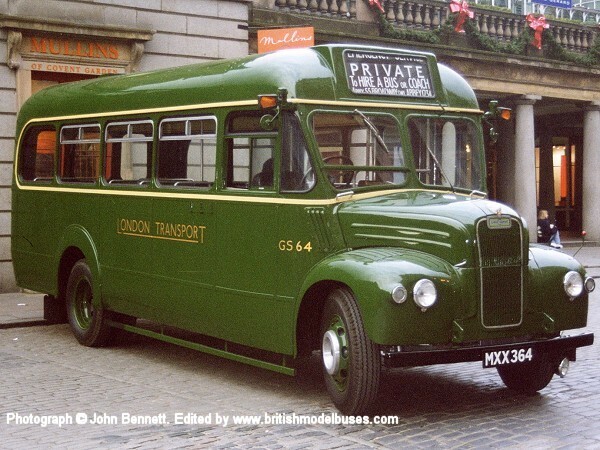 The destination blind shown in the photograph matches the model. 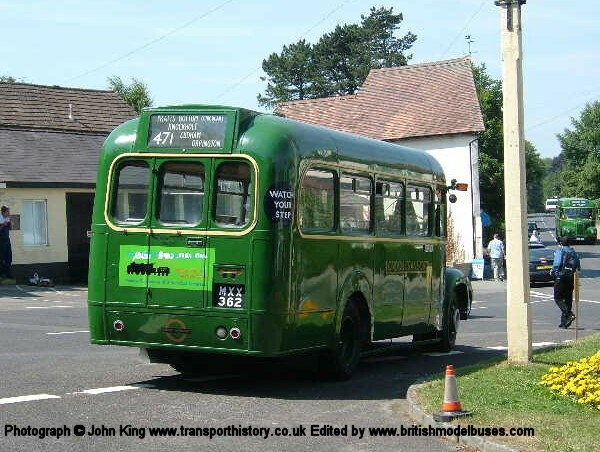 This photograph was taken on Sunday 3 April 2005 outside Cobham Bus Museum and shows the offside view of the above. 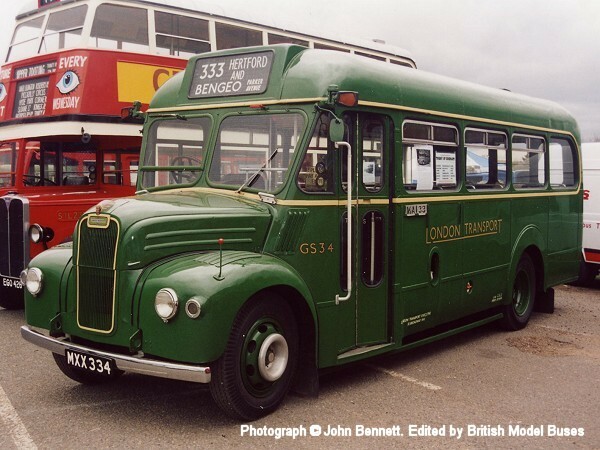 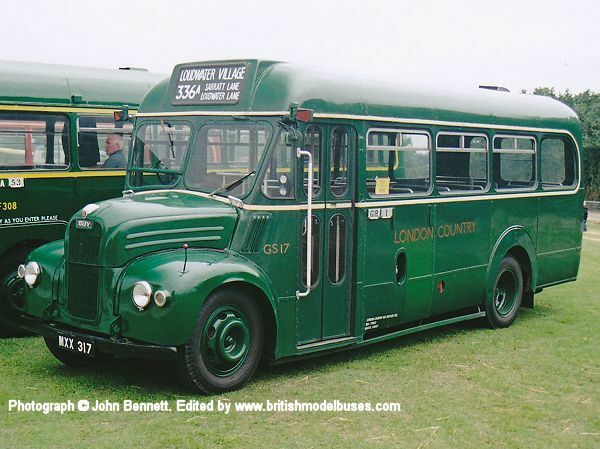 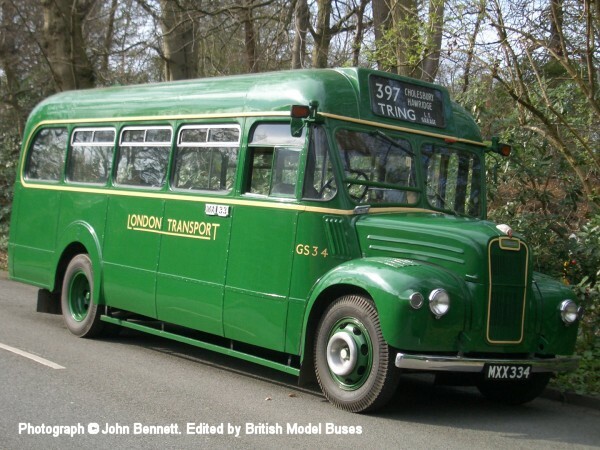 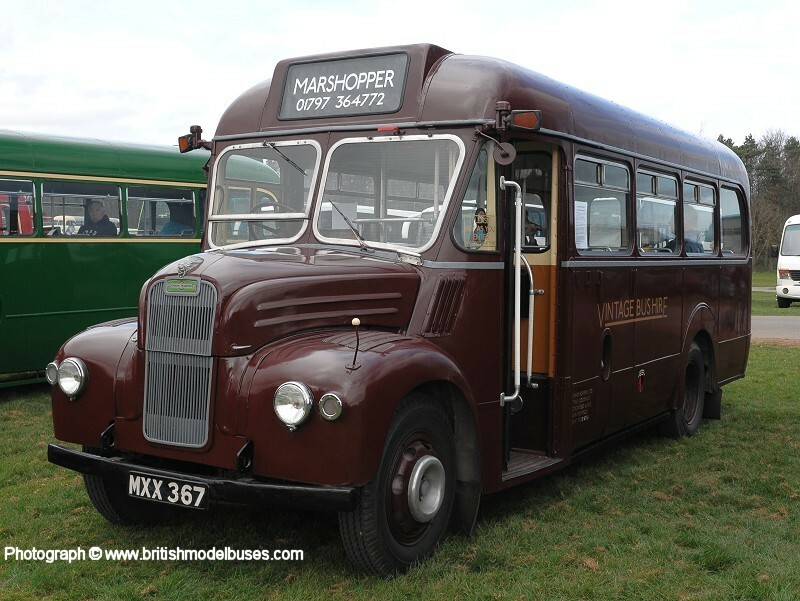 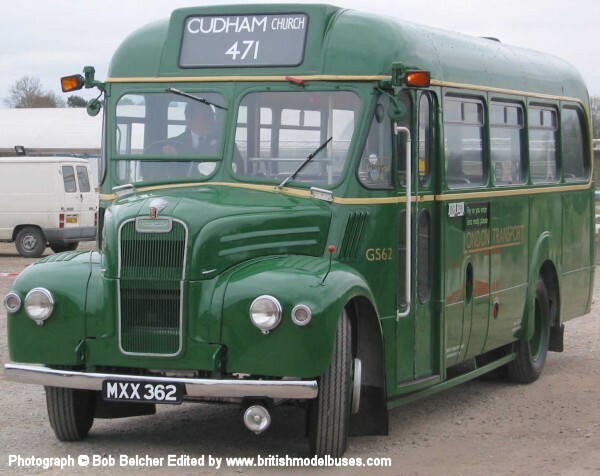 This photograph shows a rear offside view of the above and was taken at Knockholt Pound vintage bus running day on 19 July 2005. 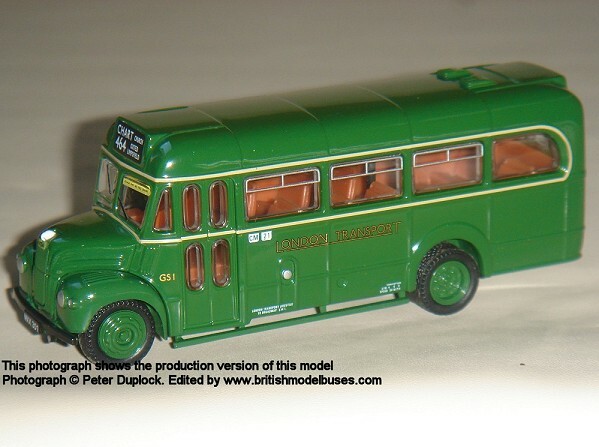 It also shows the same route and destination blind layout as the model. 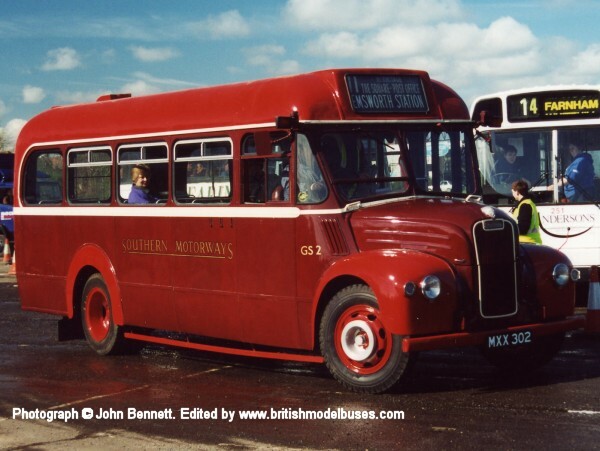 This photograph was taken at the at the Sandwell Rally in May 1991 and shows fleet number 252 (MXX340). 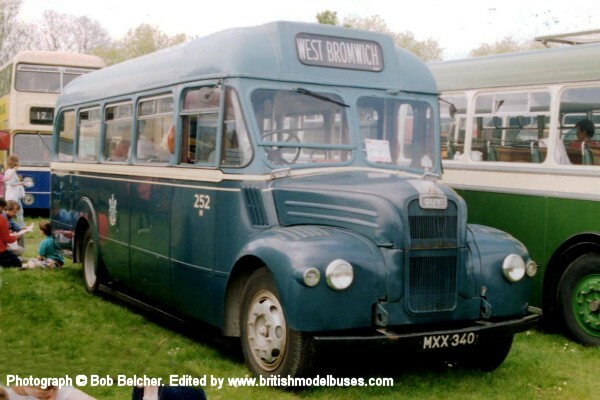 It is preserved in its WMPTE guise with the "H" suffix to its fleet number denoting an ex-West Brom vehicle. 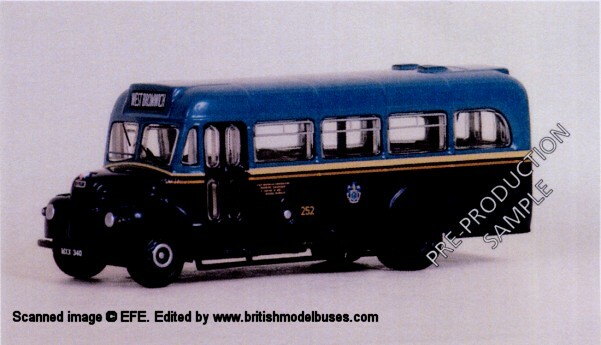 This is the actual vehicle as represented by EFE model 30505.